It’s been a difficult campaign for Man Utd midfielder Paul Pogba, and Jose Mourinho has outlined what he wants to see from the Frenchman moving forward. The 25-year-old undoubtedly possesses real talent, and he has shown that he can make a decisive impact with impressive recent performances against Man City and Bournemouth. However, inconsistency has seemingly been his biggest enemy this season, as he has struggled to have a positive impact in games week in and week out, leading to Mourinho either dropping him to the bench or taking him off early in games. Pogba has managed just five goals and 11 assists in 31 appearances this season, and while that is a decent return, much more is arguably expected of him given he is a leading figure for this Man Utd side. Mourinho has now challenged him to find his best form on a more regular basis, and it remains to be seen if the French international can deliver and help the Red Devils enjoy a strong finish to the campaign. “I told him after Manchester City that I am not expecting him to be man of the match in every game,” he told the club’s official site. “I am not expecting him to be phenomenal every match because that is really difficult, but to keep a certain level. That’s the challenge, that’s obvious. Although they fell short in the Premier League title race to rivals Man City, there is still plenty for United to play for this season as they will want to finish second, while also picking up silverware through the FA Cup. 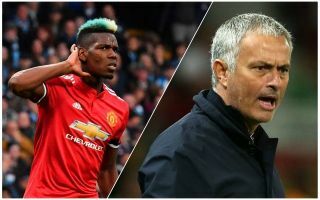 Pogba playing to the best of his ability will be crucial in making that happen, and so time will tell if he can successfully meet the challenge set by Mourinho and dispel the ongoing speculation that there is trouble at Old Trafford, with the Daily Mail reporting that the relationship between the pair has severely deteriorated.